I may be writing a lot about low power mini PCs, but I’m still using a fully fledged desktop tower as my main computer since from time to time I edit videos, build large code bases like the Linux kernel or Android, or even run demanding simulators. I’ve placed the tower under my desk, but from time to time I have to move it up for example while USB devices that misbehave while connected to one of my USB hub, possibly because of the one meter cable used between my tower on the hubs. I’ve also put some actual bricks under the tower to elevate it and make the USB ports more accessible to me. 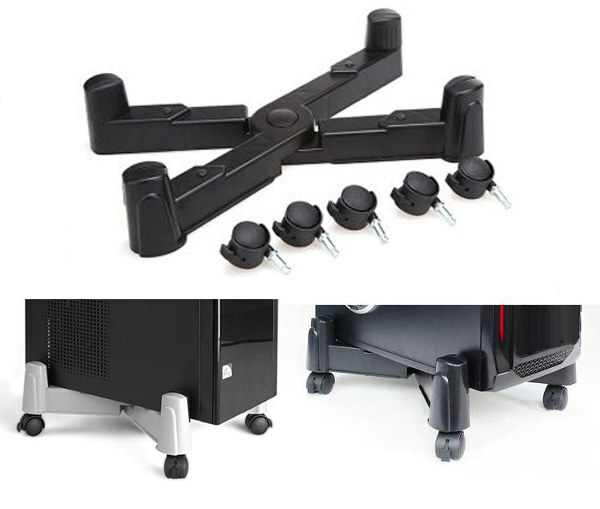 But I’ve just come across something called a “Wheel Thickening ABS Computer Host Moving Bracket” by some sellers, but that I would likely call a wheeled computer base, wheeled computer cart, or wheeled computer case mount for lack of better names. 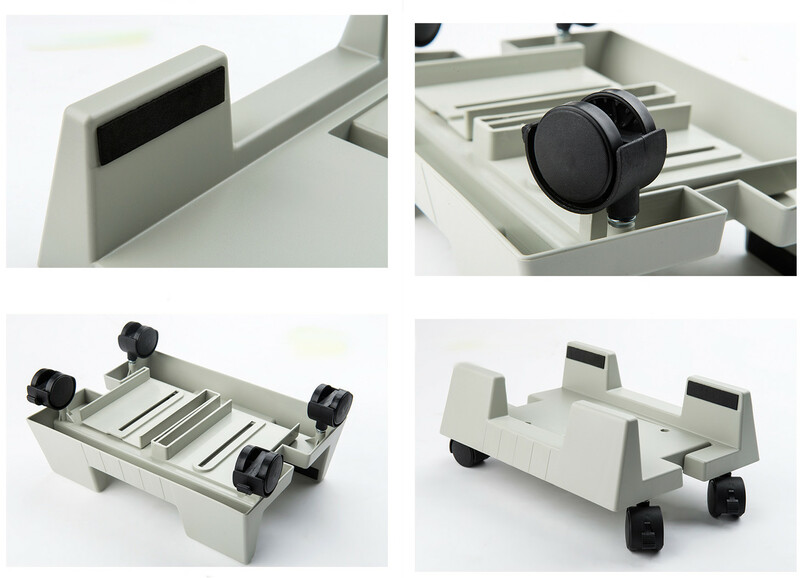 There’s not much to it except it has four wheels, and come with an adjustable base suitable for various desktop tower thickness between 22 and 32 cm. That’s for the “H-type” model. There’s also an X-type model with five wheels that support slimmer tower up to 23 cm wide. You’ll find the “computer bracket” for around $20 or more on Ebay, Aliexpress, and other websites. There are also other models on Amazon, such as that $12.50 computer stand for ATX case. Those have probable been around for a while, but I was not aware of their existence.